San Francisco was always known for sourdough bread, clam chowder and of course Ghiradelli chocolate! These days it is one of the hottest food destinations in the world, championing new trends and trialling new concepts. 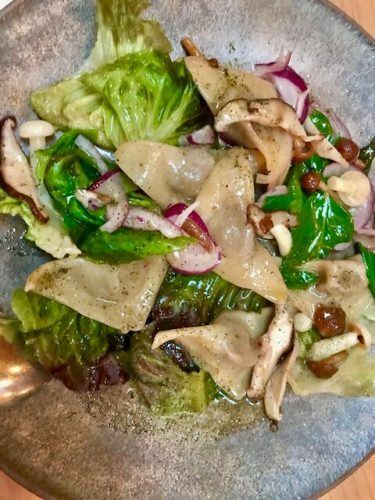 I have decided to take a broad definition of the word restaurant and to include a mix of kitsch and cutting edge – I do love a silly eating experience as much as a fancy one. 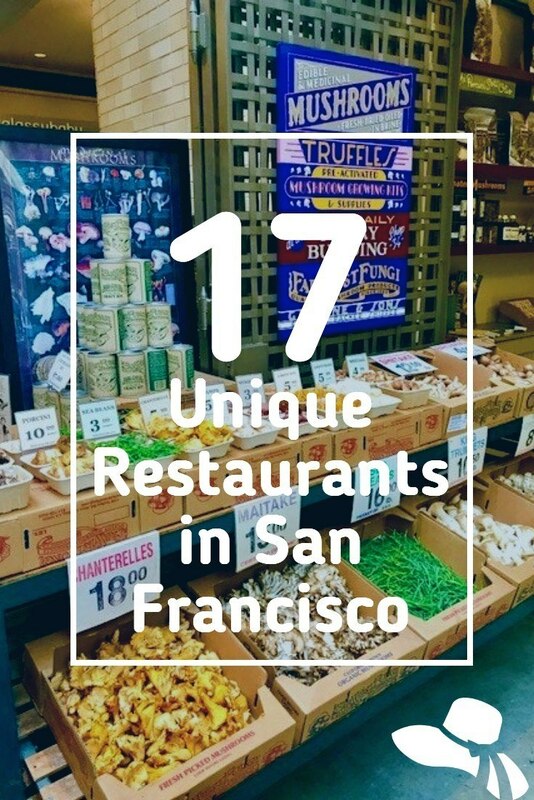 Here is my guide to the Unique Restaurants in San Francisco you must visit – from the classics to the latest! The Meatball Bar formalizes meatball consumption – which means table service! It’s all about handmade meatball extravaganzas from lamb to chicken to vegetarian and sauces from truffle fondue to Korean. The first Meatball Bar opened in the Financial District in May 2017 and a new branch opens in Hayes Valley in February 2018. This was one of my favourite meals last year! 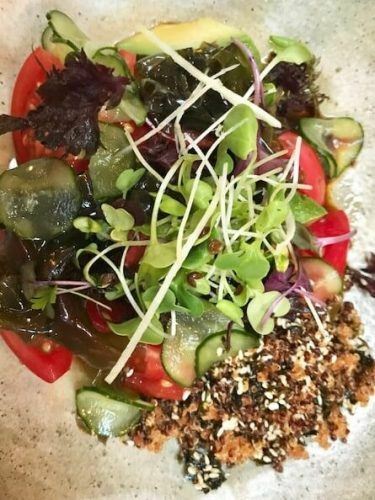 This lovely relaxed restaurant is located on Fillmore street and specializes in doing innovative things with local ingredients. 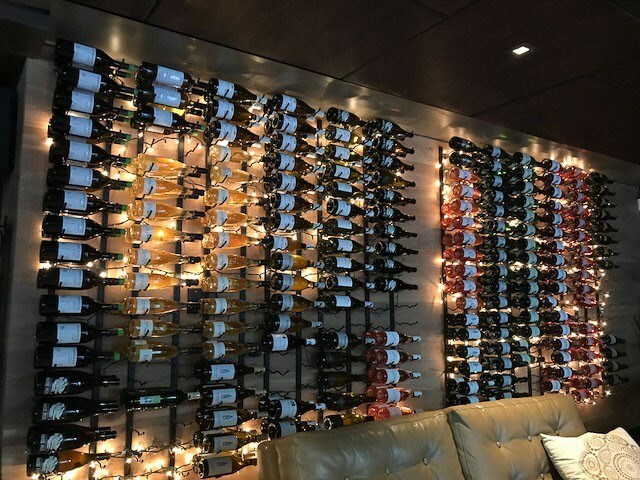 The menu changes regularly and is designed to be shared – with lovely wines! The night I went we enjoyed everything from dumplings to filet mignon. This has to be one of the best places to eat in San Francisco. An Indian restaurant is not particularly unique. However, Indian brunch is new to me! The menu features coconut and date pancakes, French toast with cardamom and cinnamon and chicken and waffles. A bar and restaurant themed around mezcal with mezcal-focused cocktails plus pork belly benedict with corn hollandaise, gouda burgers, taco Tuesday and a generally Mexican themed menu. When have you read about a great restaurant recommendation that is at an airport? Exactly! Well, four of San Francisco’s favourite chefs Pim Techamuanvivit of Kin Khao, Elisabeth Prueitt and Chad Robertson of Tartine, and Gabriela Cámara of Cala—have joined forces to change that! On offer will be tacos and breakfast Tortas, great Thai and morning buns and seasonal tarts from Tartine’s. Coming Soon. This new opening in Chinatown is based on Si Fang Cai or private chateau cuisine of the Chinese elite. That means a 10-course tasting menu that starts after you cross a gold-threaded welcome mat into a private elevator and are whisked up to your own private club! 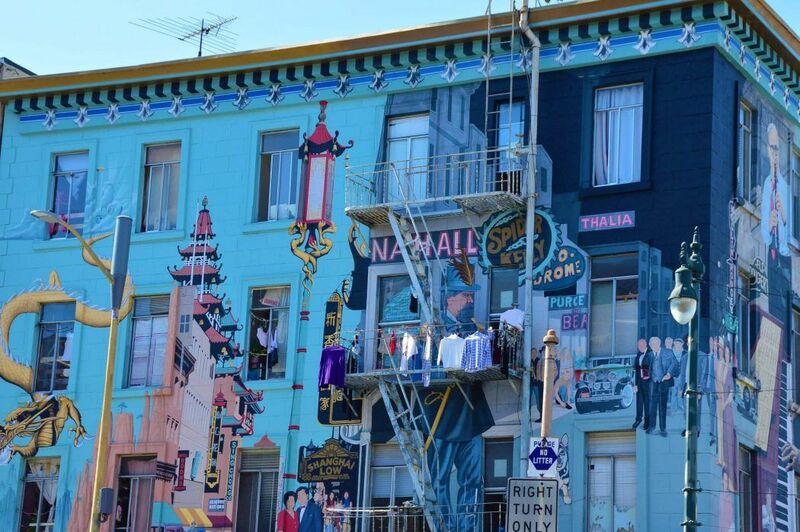 For one of the most fun places to eat in San Francisco head to Dumpling Time. You can watch cooks prefer the dumplings in front of you. Make sure you order the King-Dum – the largest soup dumpling you have seen in some time that comes with a straw. Noodle ingredients included everything from roasted pork belly to peanut butter. There are also noodles on offer if you are a complete freak and don’t like dumplings (does anyone not like dumplings??). These dumplings are a must eat in San Francisco. Foreign Cinema combines amazing locally sourced food with classic films. This restaurant is very much known for its food – particularly its fried chicken. They have an art gallery and a VIP lounge. Who hasn’t wanted a fantastic dining experience pre or post-playing mini golf? And wouldn’t it be better if you could play mini golf to say 11pm or midnight indoor? Well, Urban Putt heard about these desires and combined food and mini golf. They have two restaurants – one for bites and one for some great California eating that goes far beyond the usual putt putt kiosk. And have a drink at the Copper Bar first featuring many exciting craft brews. This seafood restaurant with an extensive raw bar has been in Union Square for over 20 years. In addition to providing fantastic seafood cooked and raw, it is also known for its Jellyfish Bar. This bar has been themed to make you feel like, well, you are under the sea. Most fabulous are the Jellyfish chandeliers – closely followed by the octopus stools. From under the sea to the carnival! This restaurant is themed carnival style and even has a tilt and whirl booth. 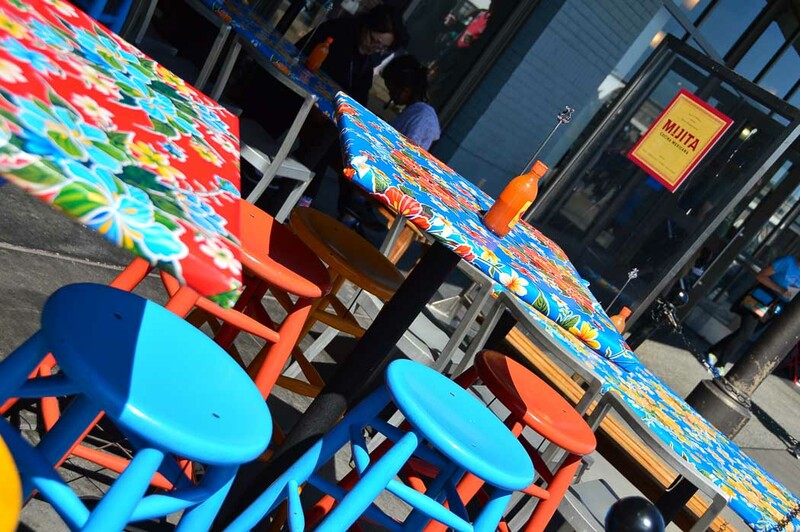 Like many of the other “themed” restaurants in this article, this restaurant is also known for its food – particularly its doughnut hamburger and fried chicken waffle. Not for those looking for a lower calorie eating experience! The Tonga room features a 75m swimming pool in the middle of the restaurant. 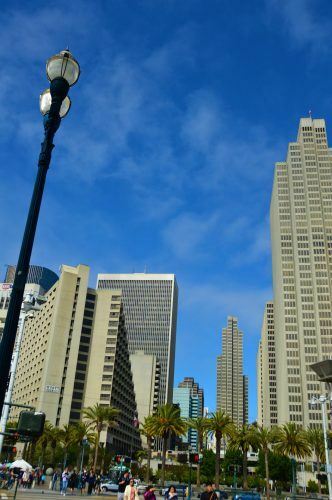 This San Francisco classic is located in the Fairmont Hotel. The menu is heavy on Asian fusion and brings in some exotic references such as Tahiti. Best of all they a “thunderstorm” occurs every 40 minutes! 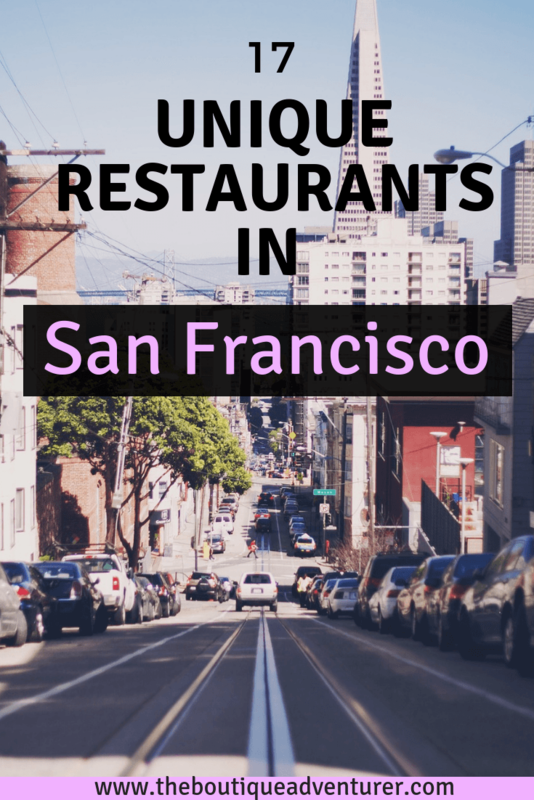 If you are looking for fun places to eat in San Francisco look no further! The Asia SF restaurant is fully staffed by fabulous transgender ladies. Not only do these lovely ladies serve you food and drinks they also perform hourly on the Red Dragon Runway Bar! 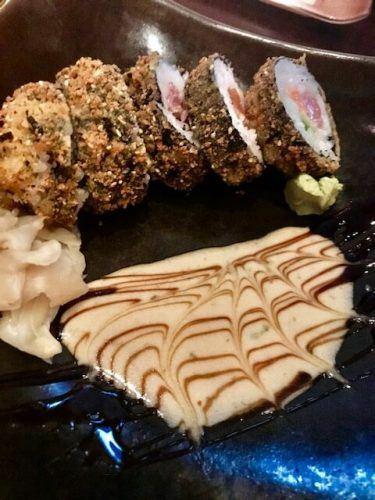 Dinner shows happen nightly and the food has a good reputation. When it comes to unique restaurants in San Francisco Asia SF fits the bill! I visited Myanmar/Burma a few years ago and fell in love with the food. I became particularly obsessed with their salads. The dressings feature a unique mix of sour and sweet flavours that take a tomato and particularly aubergine salads to a whole new level. However, there are very few good Burmese restaurants around – they tend to be more casual. 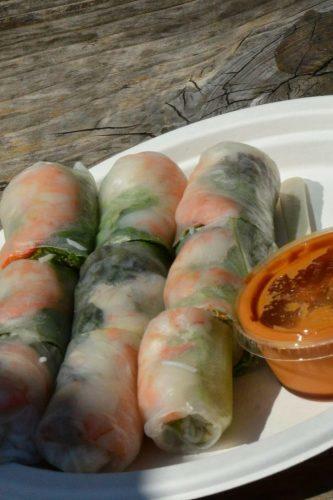 I had to include Burma Superstar in this article as I know this is difficult to find cuisine! The menu is classic Burmese and best sampled shared. Forage SF is both a restaurant, Wild Kitchen, and an experience. You can choose to do one of their amazing food-foraging classes and get involved in farm to table first hand – from urban sea foraging to wild food walks. If you are too hungry to forage yourself Wild Kitchen is a roving underground supper club that brings 100 diners together for an 8-course meal. This super cute little wine Bar was virtually next door to the Hotel G, my boutique hotel of choice on my last visit to San Francisco. It features an extensive menu of wine flights. 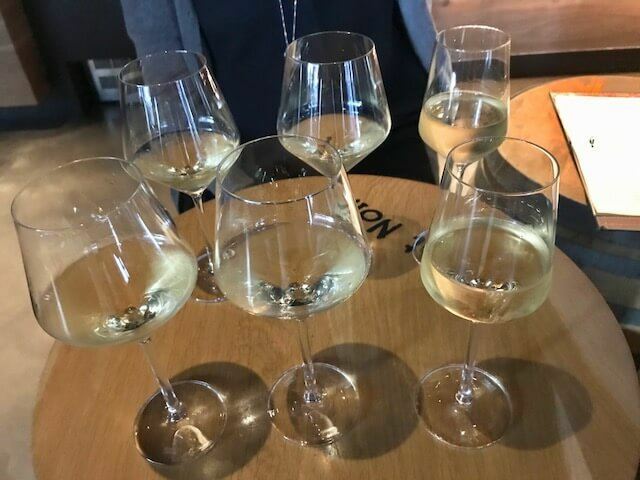 I love wine flights! From Mission Impossible (featuring the mission grape) to Faux Bordeaux it is going to be a big night when you hit Eno. They also serve wine, cheese and chocolate from local providers that constantly varies based on what is in season – which just allowed me to classify this as a restaurant as you can have the equivalent of a meal here! I have saved the best to last! 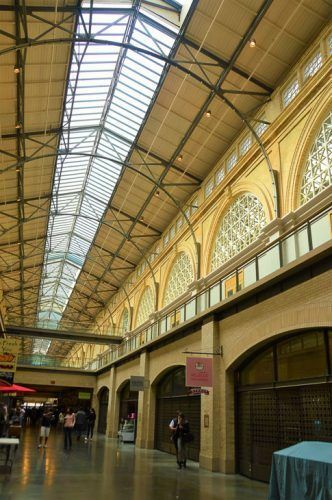 I completely fell in love with the Ferry Building on my last visit to San Francisco. It is artisanal food heaven – if that is such a thing! Multiple foods and wine providers are in one place – from stalls to full-on restaurants. There is a fantastic outdoor seating area as well. 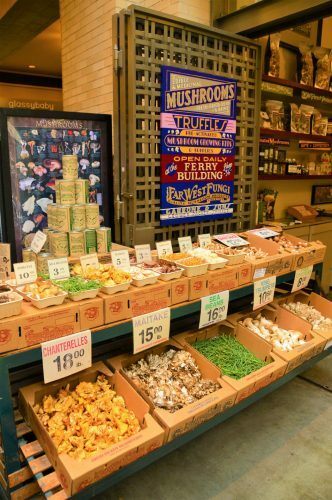 I went on a San Francisco food tour that covered the Ferry Building and then went back again the next day! 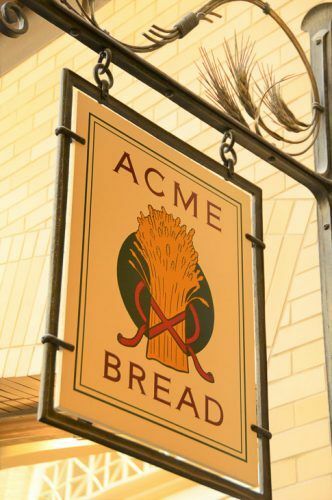 Everywhere here is good – from the amazing Acme bread (favourite of local restaurants) to Blue Bottle Coffee (you’ll know when you have found it from the queue). Frog Hollow Farm has fantastic local produce and does a great brunch. 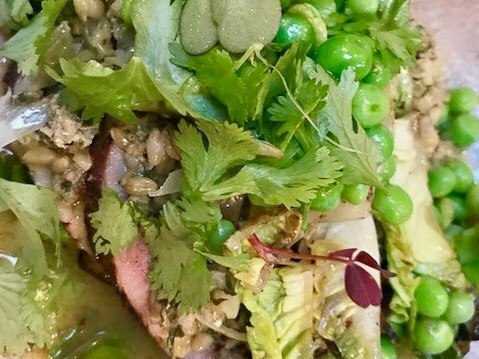 Fantastic Vietnamese is on offer at The Slanted Door – and I love the name of its takeaway area – Out the Door! 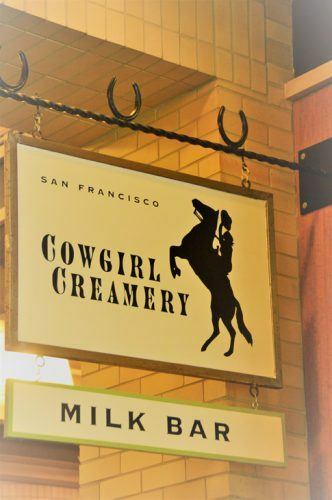 The highlight for me was the Cowgirl Creamery. Firstly – great name! Secondly wow cheese heaven!!! 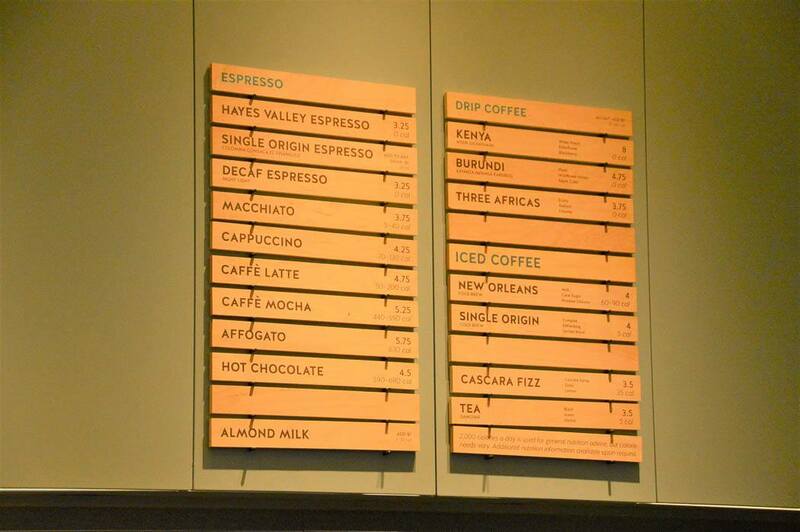 Then there is the menu – cheese toasties, grilled cheese of the day, Macaroni & Cheese – really it covers every cheese base! 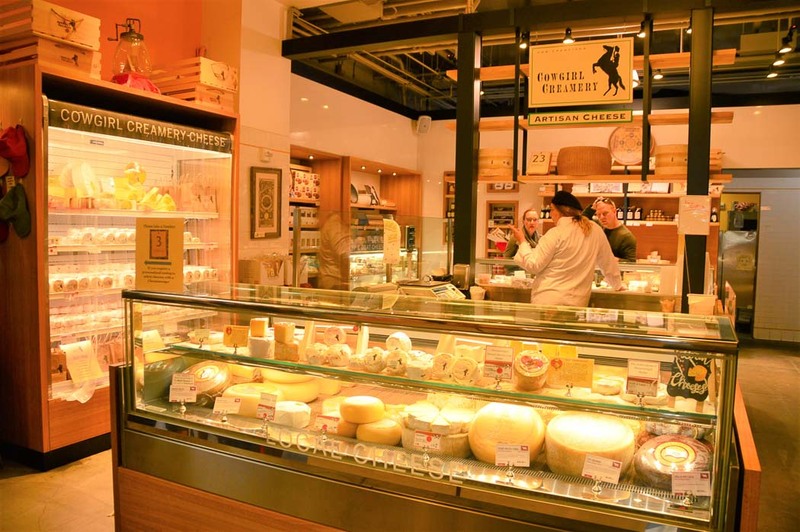 Cowgirl Creamery cheese is a must eat in San Francisco. There are so many amazing and unique restaurants in San Francisco. It has become such a foodie city! I would love to hear about your San Francisco eating experiences – please do email and let me know! For all of the above, it is always a good idea to book before you go. I use Open Table. 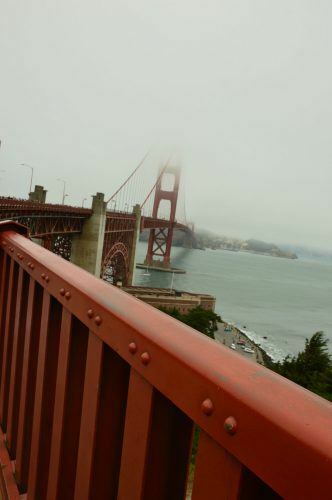 Want to make sure you look fantastic in your San Francisco photos? Don’t miss my Best Travel Hair Dryers Reviews. 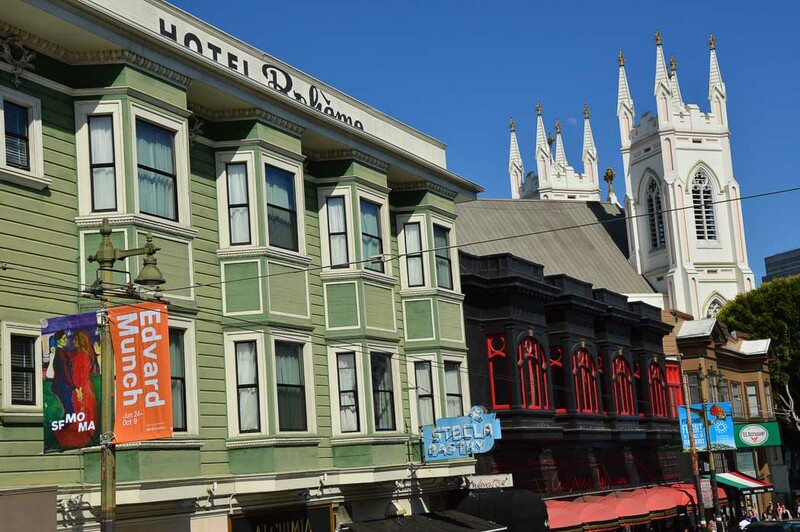 –Hotel G is a fantastic boutique hotel with an amazing location only one block from Union Square. The rooms have a chic Scandinavian feel with lots of plump white duvets and sheets and darker oak. Great value and style. Click here for latest prices and availability. 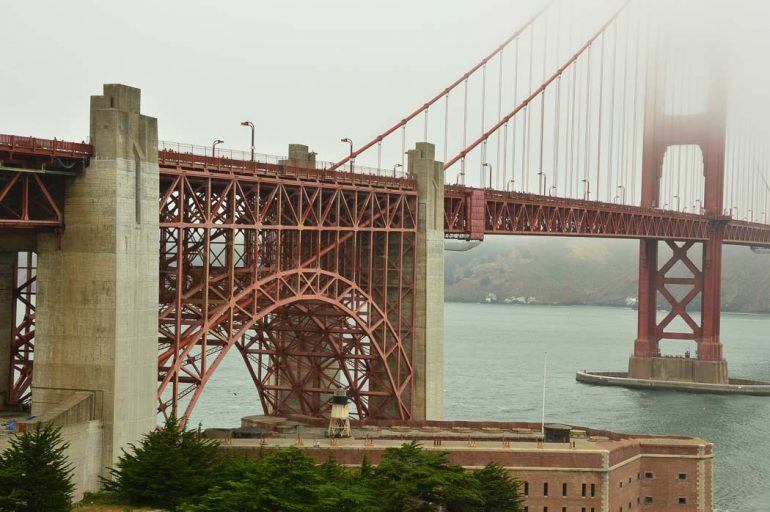 -for amazing views and a bit military history check out The Inn at the Presidio. This is particularly good for runners and outdoor enthusiasts as it is located in a park. Stylish design mixes with military memorabilia. Click here for deals and dates. -if you would like to be as close as possible to the famous Golden Gate Bridge then Cavallo Point may be for you. This also has a military background – it was former military quarters. It is located in the charming area of Sausalito which is literally just over the bride from San Francisco. Click here for availability and prices. -for those of you who are into high tech and hip Hotel Zetta could be a great choice. The hotel is super close to shopping district Union Square and has one of the hottest restaurants in town inside. You can also bring your dog! Click here for costs and availability. And why not download the brilliant Skyscanner App so you can sort cheap flights out on your phone? 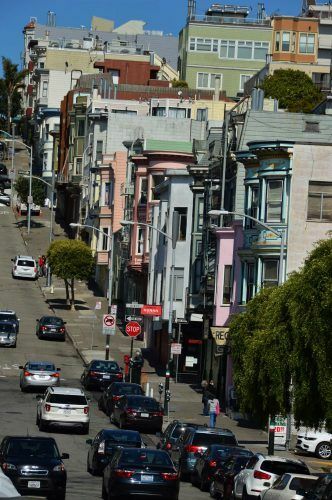 There are some fantastic drives around San Francisco – from heading south down to LA to drive around the Napa Valley. Click here for Great Deals on Car Hire and Click here for travel insurance. 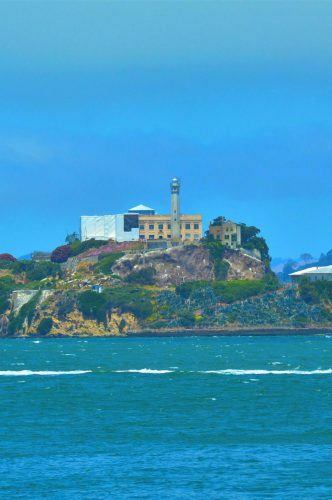 Whatever you do make sure you book Alcatraz before you leave home. If possible quite some time before you leave home – particularly if you are heading over in the North American summer. If it is booked out there are some extra tickets on the day but they go fast. The better option is to google for tour companies that bought up the tickets and but one of their combined tickets eg The one I got was actually combined with a food tour and the Ferry Building so it worked out brilliantly. If you are travelling solo and looking for a group tour check out Exodus, Just You Adventures, Explore and G Adventures. If you’re feeling foodie check out some of my other food related posts from around the world: Top 10 Restaurants and Cafes in Medellin Colombia, Maltby Street and Druid Street Markets in London, The 6 best brunches in Melbourne Australia andThe hottest new eating out district in Sydney Barangaroo.